Happy Book Birthday to MIRAGE by Kristi Cook, the terrific sequel to HAVEN!!! 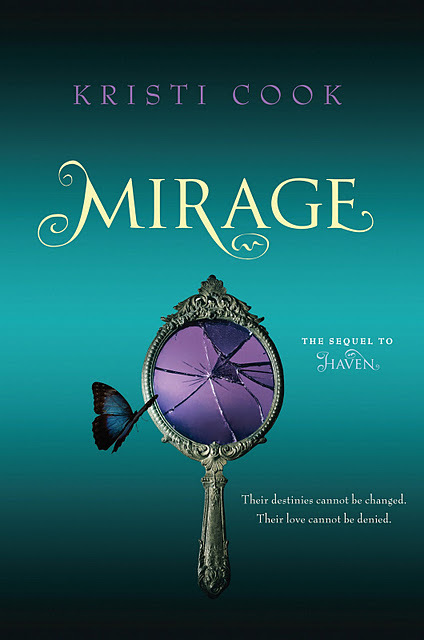 Check out my interview with Kristi as published in theLoop – Local Author’s Vampire Sequel, and enter the giveaway below for a chance to WIN signed copies of the book that launched this exciting series, HAVEN, and the thrilling sequel, MIRAGE. Also up for grabs is an autographed copy of BLOODSPELL for the runner up. 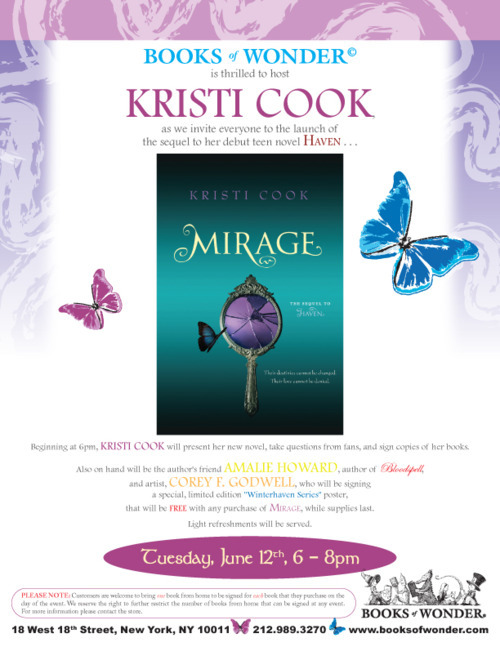 And if you’re in the New York area, come to Kristi’s MIRAGE LAUNCH PARTY at Books of Wonder next Tuesday June 12, 6-8pm. I’ll be signing along with her as her special guest, so come say hello! It will be a fun event with lots of prizes so get there! « Hello Summer! June is here! Bloodspell is the #1 book on my kindle. I absolutely love your writing and the story itself! Can you please, please, please give us a tiny hint as to when to expect the next book??? I’ve never begged for a book release before so this is pretty major for me. Then again I’ve never paid $9.99 for a kindle book before so that’s also saying something about my level of sincerity – haha!